John Anderson is a graduate of the Young Urban Farmers program, where he fostered a passion for sustainable agriculture and food justice. He now uses that passion as the Assistant Farm Manager at Williams Farm and the West Broad Garden, where he assists the farm managers in farm maintenance and works on special projects to promote the growth of both locations. John is a senior at Clarke Central High School and is also dual enrolled, studying business management at Athens Technical College. 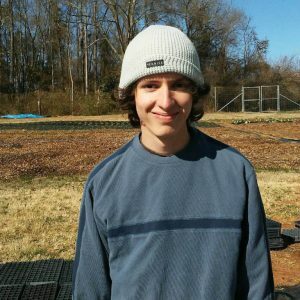 He hopes to use his experience with Athens Land Trust to impact change in the food industry in the future.